We started out as a group of women who chatted daily through an email group named Christmums in 1997. We started as a fellowship list for mothers to hang out when our babies were taking naps. I have been blogging in some form since 1999! But I still felt there was missing a resource to grow out of the wisdom of mothers coming together. We have expanded to include all Bible Believing women as we have grown. So I felt a name change was in order. Hence, the birth of a blog called Proverbs 31 Jewels. Our vision has grown. We have expanded our tents. Our name has changed once again. 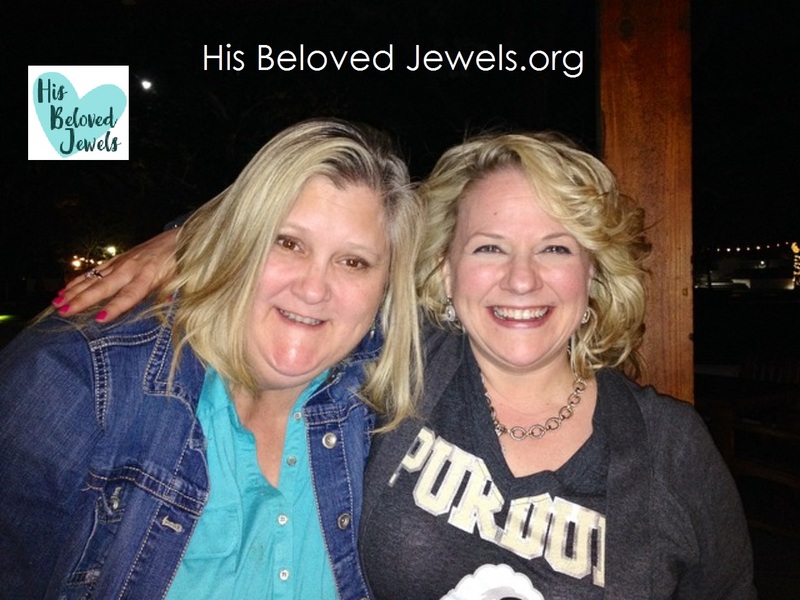 We are His Beloved Jewels. I was blessed to be raised up in love and knowledge of the Lord Jesus Christ. My parents loved the Lord and taught each of their children the gospel and raised us to have our own relationship. As a result, I was saved, asked the Lord to be my own Savior at the age of nine. Baptized in water soon after. Raised on the Word of God, I grew up knowing He loved me. As a young parent, I found myself needing more. I knew I am a sinner in need of a Savior, but I found that I needed Jesus to also be my Lord. The longer I walk with Him, the more I need Him. As I am approaching mid-life, married for over 30 years to my beloved Bill, I a, blessed to see my five children growing strong, I am grateful for Jesus Who Supplies all my needs! He is my all and my first love. You can say that I am alover of the Word: I am a Word Nerd! I have a Bachelor’s from Liberty University in Biblical and Theological Studies with a minor in Christian Counseling. You can bet I have a deep love of studying His Word and love to teach its life-transforming truth. It is my joy and my passion. I am blessed to be the sister in love of Amanda Gordon. She is my cohort in love and ministry. I would like to take this opportunity to introduce myself. I am Nancy’s sister-in-law but I just call her my sister because I don’t have any siblings and I love Nancy like she was one. I’m not sure how much information about myself is relevant or even interesting so I’ll just lay a few things out there for now and then we can enjoy the journey and mystery of getting to know one another better in days to come. I am originally from Texas (note the Hi Ya’ll” in the title) and was raised in the Baptist church where I as saved and baptized at 8 years of age. If you will indulge me I might add that I had the coolest white chiffon, frilly dress with a big floppy Easter hat to match that day. Man, I was stylin’. Anyway, I was a single mom for a great many years until I met Nancy’s lovely brother, Mark and thus began the adventures of Mark and Mandy! We created a blended family. I can say proudly that we have all survived though there are times I look back and marvel at how the Lord pulled it off. Together we have 4 children — two are Mark’s by birth — one is mine by birth — one is OURS by birth. Whew! I”m already exhausted. Are you bored yet? We only have one left at home…Yes, you guessed it. The “OURS” one. He is a teenager and a joy to parent. Our other three are all grown and building lives of their own. I think you will enjoy getting to know them all as we walk the blog path together. I work full-time in the real estate industry and I am a professional vocalist, a wannabe artist, a dog lover, and an avid gardener. The Lord is my passion and who I live for. Even though I fail him every day, He still loves me which makes me love him all the more. I am so excited to be a part of His Beloved Jewels and look forward to sharing my insights and gaining from all of yours. What do you think is the most difficult challenge facing working mothers today?